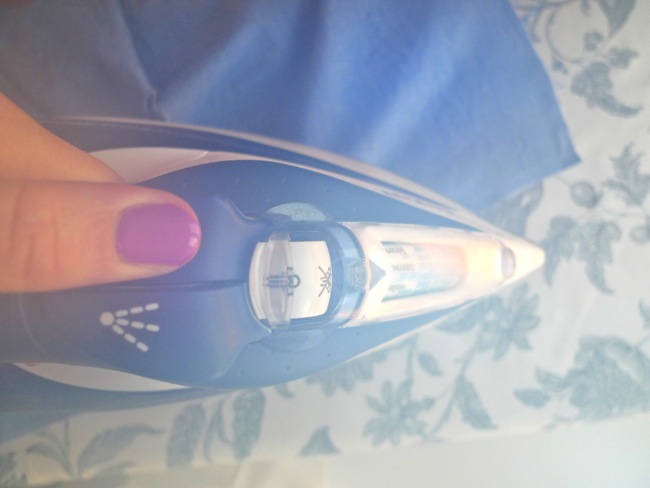 Thought using the iron was boring? Think again, my friend! 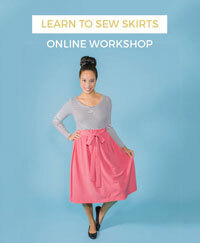 Before you cut out your fabric, give it a press to smooth it out – this will help you get more accurately shaped pieces. 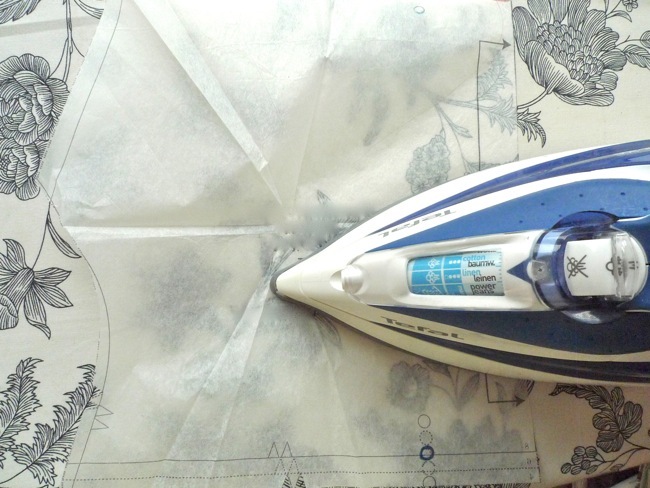 If your pattern is creased, give that a press too on a low, dry setting (check the ink doesn’t run first!). If you’re folding over the edge of the fabric to stitch it as a hem, for example, give it a press before stitching to flatten and neaten it. Press each seam after stitching it and before stitching across it. 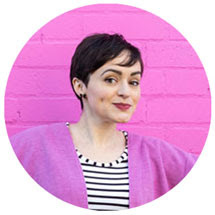 You don’t literally have to get up after sewing every seam and go over to the ironing board – you can “save up” a few bits that need pressing and do them in one go, as long as the iron gets to them before you stitch over that part of the garment. Press seams either open or towards the back of the garment. Press darts towards one side (horizontal darts usually go downwards). Avoid pressing gathers, for example on the head of a set-in sleeve, as it may ruin the lovely fullness you’ve created with your stitching. 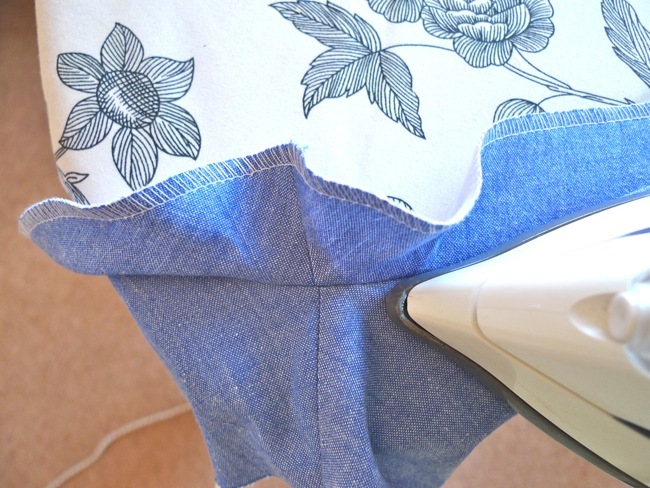 If you're pressing a small tricky part such as a collar, you can hang the rest of the garment off the end of your ironing board so it doesn't get under the iron. First, test your iron setting on a small swatch of your fabric. 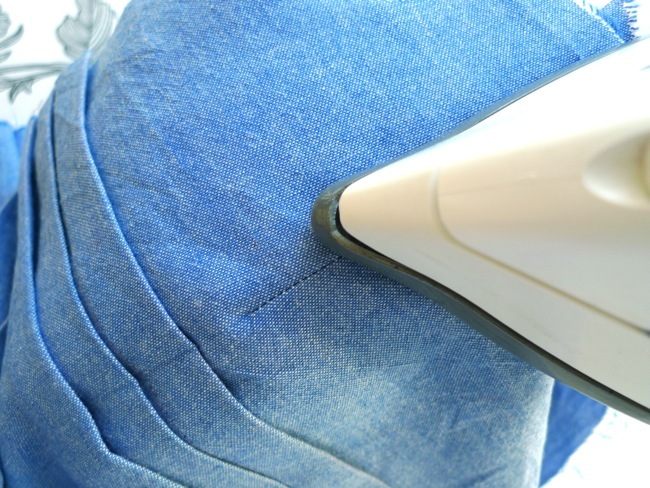 Different fabrics can tolerate different amounts of heat and steam – too high and they may become marked or even melt! You can help avoid damaging your fabric by laying a pressing cloth over it to protect it from the direct heat of the iron. A piece of muslin, cotton or even a tea towel will do just fine. When ironing your pre-made clothes, you usually move the iron back and forth to smooth out the creases. 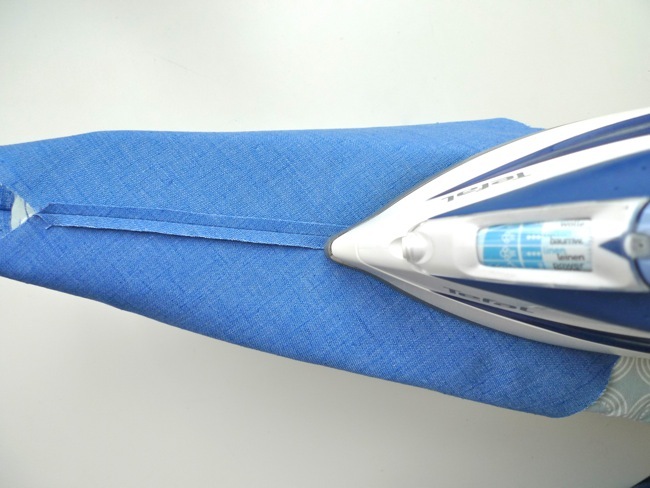 When pressing, on the other hand, you’re placing the iron onto the fabric, holding it static for a few seconds, then lifting it up and placing it on another part of the fabric. Don’t be afraid of a bit of steam. As long as your fabric can take it, steam will soften your fabric and help you mould and manipulate it into the shape you want it to be. For instance, it can help you roll a facing to the inside of the garment, or it can make a pointy bust dart look a little more curved and a lot less rude. Press on both wrong and right sides of the fabric to get a neat finish. If you’re really fancy, you can use a tailor’s ham and seam roll (aka sausage). These are specially shaped dedicated pressing devices which look like cushions but are deceptively firm. A tailor’s ham will help you press curved parts of a garment such as darts or collars; a seam roll is a cylindrical shape which lets you press just the middle of a seam without creating a ridge on the seam edges. If you don’t want to buy them, you can make your own or roll up a towel tightly as a make-shift alternative. And finally, at the risk of sounding like your mother, turn the iron off when you’re not using it, won’t you? Not only will conserving the energy help save the planet (sort of), but if you knock it over and burn yourself you'll probably be so absorbed in your sewing that you don't notice until the next day, by which time you have a massive scar. Or that's what I do, in any case! Still awake?! 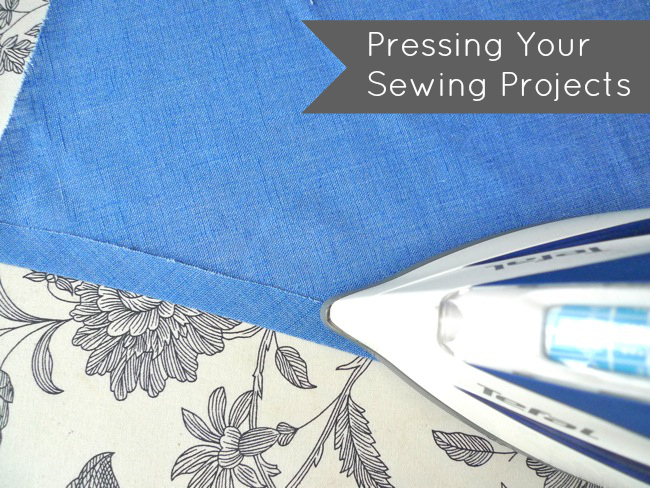 Do you have any pressing tips of your own to share?